Heartland Bank is a community-focused bank serving central Nebraska and provides personal, business, and agricultural banking services. 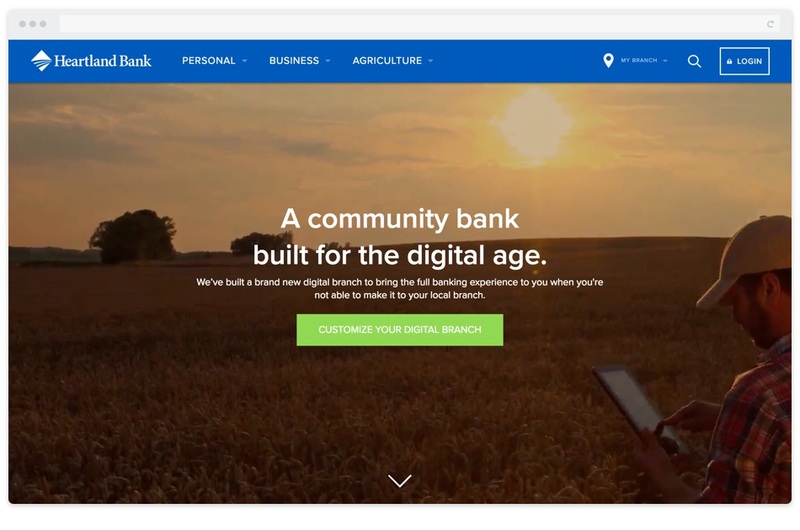 Heartland Bank came to Media Junction in November 2015 with the goal of improving their digital branch to be technological market leaders, improve website usability, and improve their current digital infrastructure. In the previous year, their bank website experienced a 150% increase in mobile and tablet visitors. Their marketing goals were to drive traffic to the website, capture leads, and nurture those leads. Being a financial institution, security was paramount to Heartland Bank. To direct visitors in the right direction, we needed to first assess their information architecture. We mapped the personas to the site users and created a user journey map to plan how each visitor could be guided through the digital branch to achieve their particular goals. Their customer base was analyzed and segmented into seven primary buyer personas: agriculture, business, home mortgage, personal, trust and estate, investments, and insurance. Because of the sheer volume of content on the site, we organized their navigation into mega-menus to first point the visitors in the right direction. 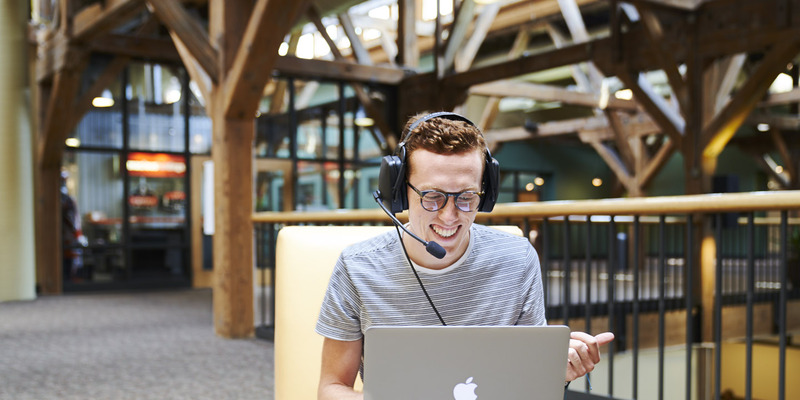 We utilized one of the most under utilized features of HubSpot's COS platform. By asking a few questions we were able to leverage the power of smart content throughout the site. Allowing Heartland Bank to serve up a tailored experience based on a visitors' form submission. The visitor can select from multiple products, locations, and the type of banking products that best fit their needs. Based on the local branch they selected, the branches hours and contact information will display in the navigation. Give it a whirl it is pretty neat. The entire homepage was built with HubSpot's smart content feature, beginning with this clear, actionable CTA. Visitors fill out a form meant to tailor the content to their interests and location—which captures their contact information. An important part of this form is the option to disable video backgrounds to help with page load. 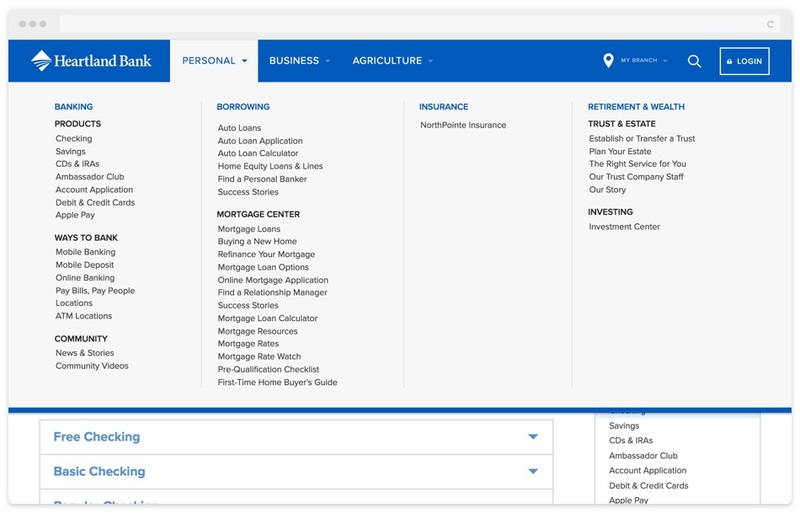 Smart CTA's change throughout the site, as well as the background images tailored to the persona, For example “Customize Your Digital Branch” changes to “View Their Story” once the profile form is filled out. The Heartland Bank website is probably one of the most beautiful banking websites I have ever seen. 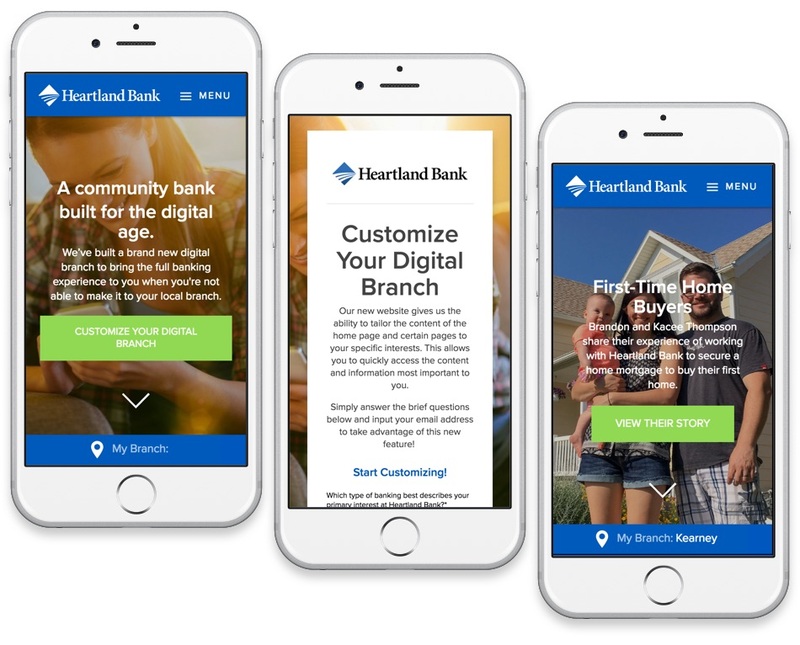 The goal of the marketing team at Heartland Bank was to build the most technologically advanced website and connect on a whole other level with their customers, particularly those who are not able to visit a local branch. The Blog page was also updated to reflect the client’s goals. We brought it from a non-intuitive interface to a robust design with sub-navigation for topics. We incorporated a robust resource center and organized quick links in the footer to draw attention to the most frequently visited pages—just another way to serve their clients in a thoughtful and meaningful way. The new Heartland Bank website launched in March 2016. 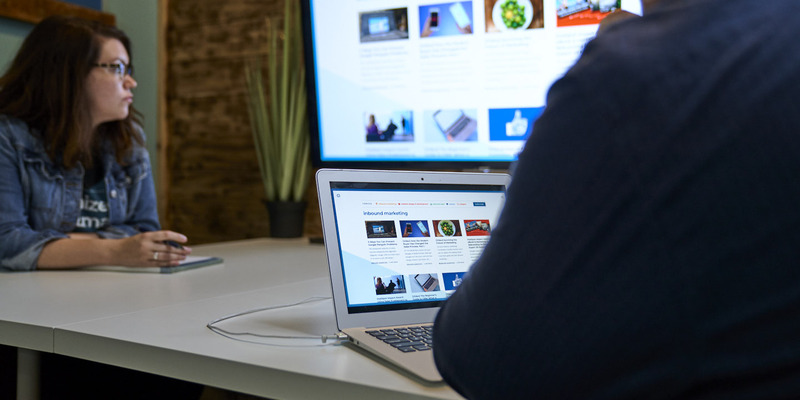 To meet their goals of driving traffic to their site, capturing and then nurturing leads, we set up smart content to personalize the user’s experience. The website does everything from recognizing their local branch to providing them with relevant contact info and hours, to determining if they are a personal, business, or agricultural visitor to tailor the content and offers. Since the site has launched, Heartland Bank customers continue to register to personalize their website experience. 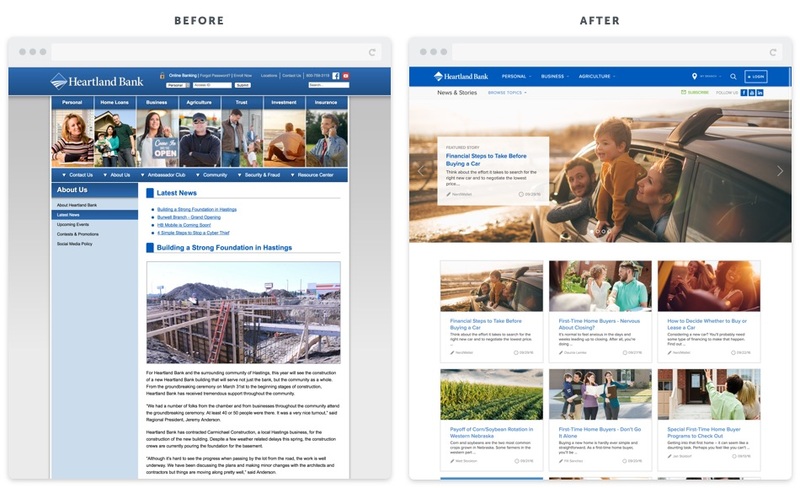 They built a site that truly can be updated, modified, and adapted to our future digital needs.